It will be just a few more weeks before the book is out! If you care to preorder it, you won’t have to wait that long. Right now I’m actually holding an advance copy in my hand, and it looks so great that it’s making even me hungry. Important people have started talking about it in favorable ways that make me blush. And I’ve got a couple events lined up, and a few others that I’m still ironing out. 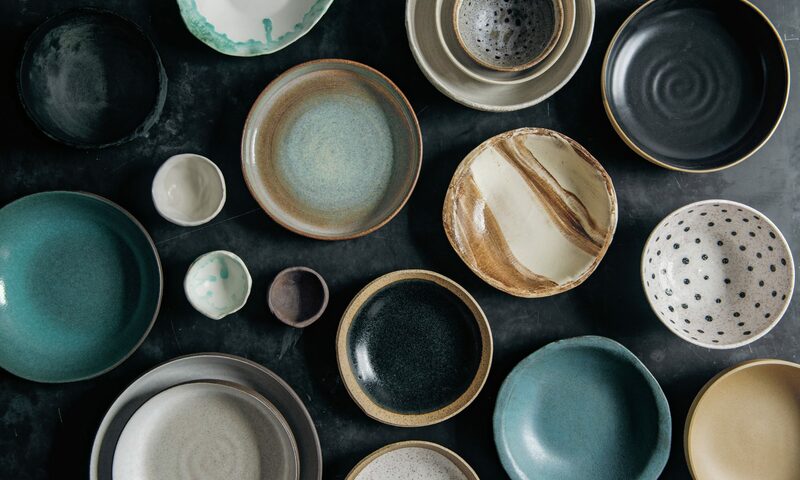 My project right now, aside from practicing how to do a cooking demo by talking my way through the veggie burger-making process a la Rachel Ray, is designing some postcards. It seems like anyone who has anything to sell makes postcards, and I am no exception. Recently, I saw one of my oldest friends, Kathryn, who does “strategy” in real-life advertising. To explain her job, she played this commercial for me. When it was over told me how the strategy would have been “Cadburry chocolate makes you feel ethereal and awesome.” And then someone else at her office would have had the idea to dramatize such a strategy by putting a gorilla at a drum set and to score it with a Phil Collins song. (I may be simplifying.) 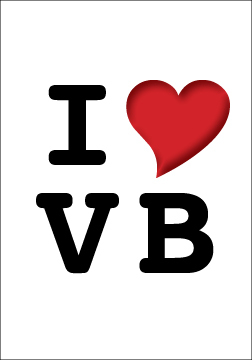 So what’s the strategy with the potentially trademark-infringing “I [heart] VB” design at the top of the page? 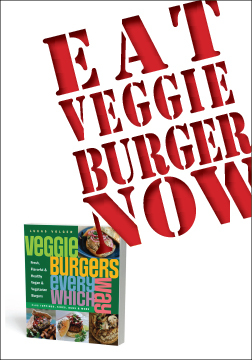 I think it’s something like, “veggie burgers are iconic.” I’m cheating, because I’m working backwards; when I put together the design, it just seemed fun. But I don’t have a strategist, or a creative director, or even a designer, so some loopholes will have to stand. In any case, a few more “treatments” below. What is this one? The Rabble-rouser treatment? 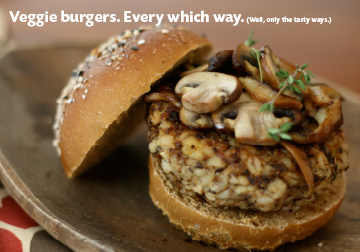 Strategy: Veggie burgers are badass. And this one is my Yum treatment. Strategy: Veggie burgers actually taste good! 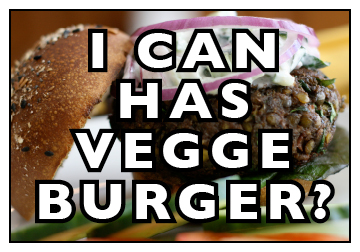 (The text says, “Veggie burgers. Every which way. (Well, only the tasty ways. )” Cute, right? What do you think? Are any of these worth sending to the printer? Do you have any better ideas? Next PostNext In case you missed it….